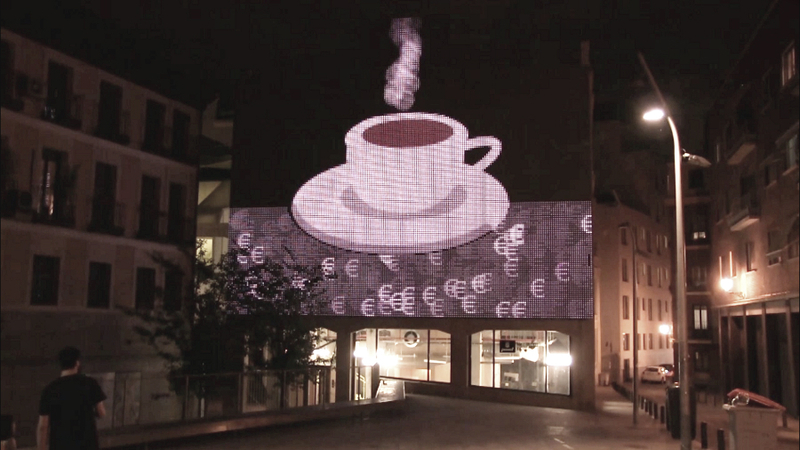 A visual experience that influences the unique environment of the square and break away from the chaos of advertisements and billboards that populate the city. Coded for the Medialab-Prado‘s digital facade, 15 meters wide, as a generative sketch based on Processing.js and showcased as part of Code The Square program. Medialab Prado is located next to a peaceful square in the middle of busy Madrid. It has one of the few media facades mainly intended to show experimental projects.